Firstly, happy Friday. Last week the digital world was a bit of a downer, not to worry, this week we’re back on the happy tracks. We look at Facebook’s 360 video, Google’s plans to control the bots, smart homes aren’t really that smart, the app boom is over, and Steven Spielberg is playing with V.R. Spoil yourself this week with an extravagant cocktail or craft beer and chomp on this week’s edition of the Weekly Wins. 1. Thanks Google for the robot kill switch. Artificial intelligence is, believe it or not, intelligent. Facebook and Slack are both investing in their bots, according to an article in Inc. With artificial intelligence seeping into our lives, the threat of machines ending us all is becoming a real thing. It looks like Google are stepping up and creating a plan for a kill switch that can stop algorithms before things get crazy. To give you context of some recent bot-ments, Google Magenta composed its first song. not appear as being part of the task at hand--which means the robot must think it's deciding to turn itself off instead of obeying the orders of a pesky human. This week, Recode published an article titled ‘The app boom is over’. This isn’t really a shocker if you take a look at your own behaviour – how many apps do you really use? According to Facebook, 8 is the magic number, and ‘the average American smartphone user downloads zero apps per month.’ The exception being Snapchat and Uber. 3. Facebook turn photos interactive. 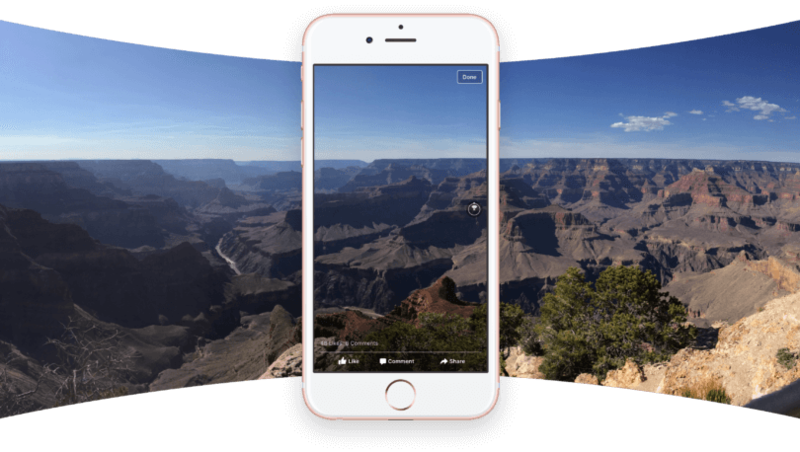 Facebook are giving their users 360 Photos according to a recent V.R. Scout article. Allowing you to give the world a 360 immersive video of your experience. If you are part of the few that own a Samsung Gear VR you are in luck, you will be able to view yours and other people’s experiences in VR. 4. Smart homes aren’t that smart. This recent article in The Washington Post, ‘Why smart homes are still so dumb’, highlights smart home promises that have not delivered. Nest, the leader of the ‘smart home revolution’ appears to have come to a standstill, especially with the recent resignation of its creator, Tony Faddell. The challenges faced by Nest seem to be across the board. This is evident in the lack of competition in this sector. Let’s hope it’s not time to turn the lights off on smart homes just yet. 5. Steven Spielberg might start creating in V.R. For the VR haters here’s something that might entertain you. Steven Spielberg, according to The Verge, will be ‘dipping his big toe into the virtual reality world’. Don’t you just love it when rumors become truths. Apparently it’s a ‘family-orientated’ experience. I, for one, can’t wait to see the magic happen. It is dangerous because it gives the viewer a lot of latitude not to take direction from the storytellers but make their own choices of where to look.